General discussion of all things not related to Comanches or other projects. Share your thoughts and make friends. 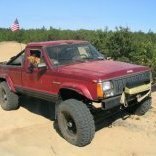 Long drive in the Comanche.